Kurosakisenkyo Valley (黒崎仙峡) is one of the scenic beauty spots in Rikuzentakata, Iwate prefecture. It has a great view of ria costal lines of Sanriku. 1. use BRT to Otomo staion. 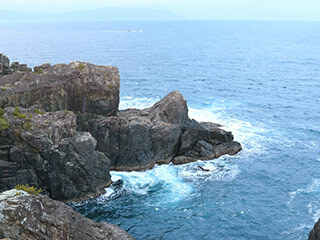 Kurosakisen Valley is ria costal lines that was created by the erosion of sea waves. It has a great view. There is Onsen facility around this spot.